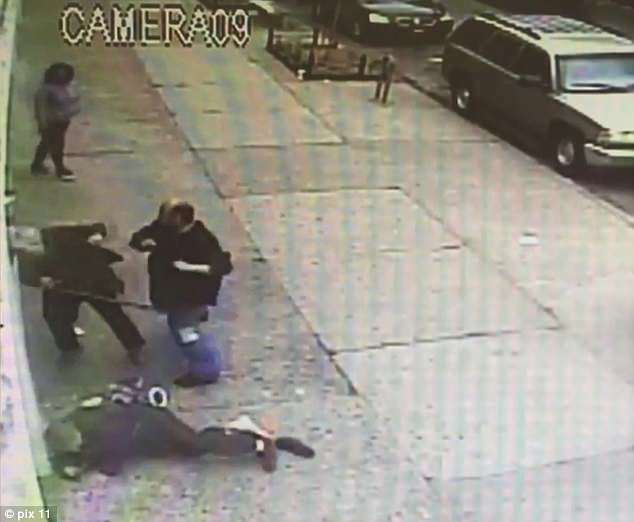 A Good Samaritan has been hailed as a hero after he wrestled a man to the ground who had attacked two elderly women in Brooklyn, New York City. The two women, aged 77 and 79, had been shopping for groceries on Sunday morning when they were subjected to the unprovoked attack. 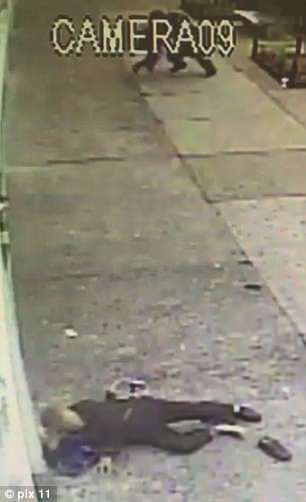 The incident was caught on CCTV, which shows the two women leave the grocery shop in Brownsville. As the elderly pair make their way down the street, a man walking in the opposite direction suddenly smacks one of them in the head, causing her to lose her balance. 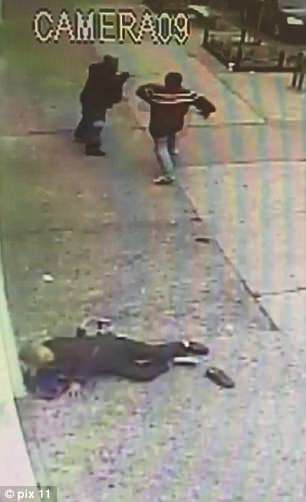 The footage shows her slamming head-first into the wall, and the man then steps up to her companion, and punches her too. Out of nowhere, the unnamed Good Samaritan comes running towards the attacker and chases him down the street. ‘Come on man, it’s Mother’s Day. Really?’, the hero exclaimed to the attacker according to the New York Post. The Good Samaritan wrestled the attacker to the ground, and the latter could be arrested by police. Police later identified the attacker as Andres Flores, a 45-year-old man of no fixed abode. The two elderly victims were taken to a nearby hospital with non-life threatening injuries, the Post reports. Flores has been charged with two counts of felony assault and one count of misdemeanor assault.